Amusement Parks are decidedly not a winter activity in Maine. The rides sit deserted and motionless against the cold, quiet sky. The boardwalk is closed as the seasonal shops are locked up and windows shuttered. Only a handful of people walk the empty beaches. The hallmark of Palace Playland in Old Orchard Beach is the Pier but it is especially lonely in the winter. With no people strolling its wooden planks, it appears abandoned as it waits for summer to return while braving the winter storms that batter it. Sitting on its pillars at it juts out into the ocean, it is fully exposed to the elements. The Pier has had its share of rebirths over the years necessitated by fire or brutal winter storms such as the blizzard of 1978 that destroyed most of the pier. Like a phoenix, it keeps rising. It was reopened in its current incarnation in 1980. Mother nature continues to try to take the pier down, but after over 100 years anchoring Old Orchard Beach, she has two traits that I love: grit and resiliency. Do you like to visit summer destinations in winter? Williamson , Ben. Nor’easter at the Old Orchard Beach Pier | March 2, 2018, YouTube, 2 Mar. 2018, http://www.youtube.com/watch?v=ug-w0l6JWyo&feature=youtu.be. 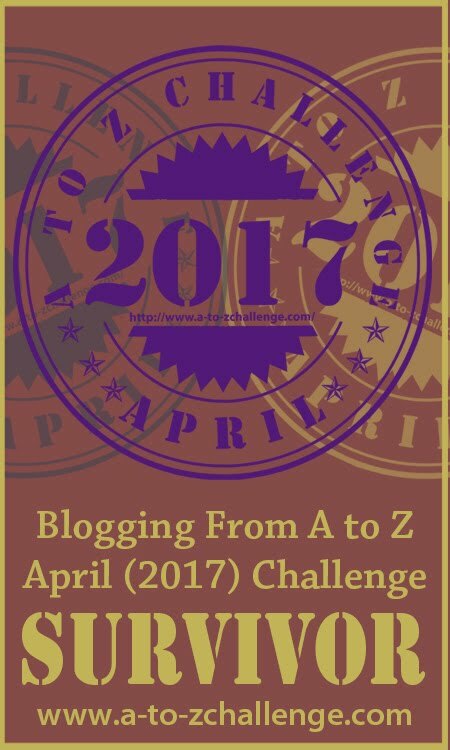 I’m participating in a Blogging A-Z Challenge for April 2018. I will be posting new content every day this month except most Sundays. Each post is associated with a letter of the alphabet, starting with A and ending with Z. My theme for the challenge is Winters in Maine. 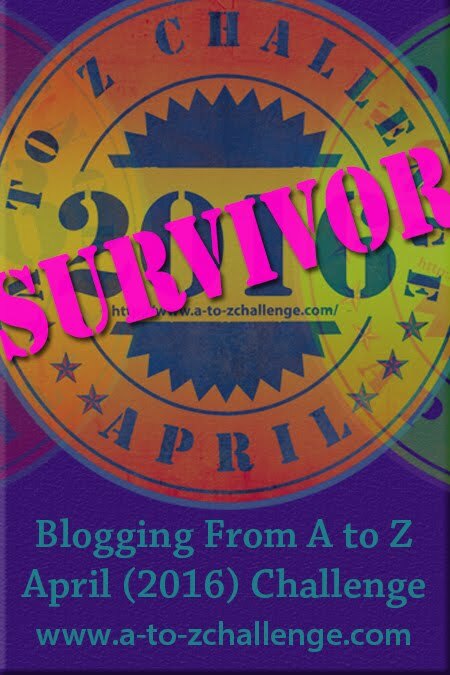 To read more of my A to Z posts, click HERE. What an interesting place to go in the winter. My dad once came to visit in the winter and he stopped at Old Orchard Beach. He said it was a treasure trove of sea shells–they get so picked over as soon as the visitors show up for summer. It’s a busy place in the summer but so quiet in the winter. I bet he did find a lot of shells. We used to have a Playland by the the beach but it was torn down years ago. There is still the Boardwalk down in Santa Cruz that is fun. We went there for several summers when our kids were little. Boardwalks and summer go together so well. I love going to Old Orchard Beach for pizza, fries and a little stroll. I remember the ’78 blizzard via the news. It was around the time we had friends visit here in Missouri who brought snowmobiles with them. I had the most fun! We had a fair share then too. Now, not so much. I loved the blizzard of ’78 because I was in school so it was all about snow days and lots of unexpected fun. We had never had so many cancellations in a row. I know we missed at least a whole week and it may have been even more. With my parka on, and muffled to the eyebrows, I’m willing to go most anywhere in winter. And there is such a nostalgic, breathless feeling to a summer resort in winter. Quiet. Waiting. Watchful. Somber. Yow! That video! And the pier just standing there. Like soldiers. There is something special about venturing to a summer place in the winter. I’m with you – as long as I’m dressed for it, I’ll go anywhere in winter. I LOVE summer destinations in winter. There is something there that just warms me on a cold day – maybe the idea of warmer, better weather to come? I also love winter destinations in summer – something about a ski hill in summer is just attractive to me. Perhaps in both cases, I just enjoy having a busy place more or less to myself. The reduced crows are definitely a draw for me. Those waves during the nor’easter were crazy! I do like to visit places in the off-season. Our family lake house is in a place that used to be seasonal than it is now. I lived in this town after college when I taught school, and the sidewalks were rolled up at the end of October and unfurled again at the end of April and I loved it that way! Summer towns in off-season can be so peaceful.